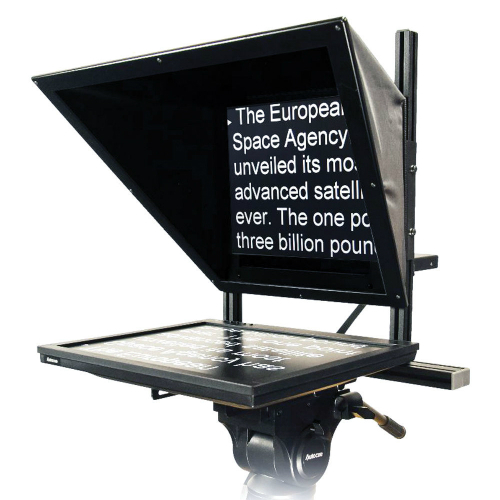 Our Autocue Teleprompter Kit includes a 17” LCD prompter monitor with VGA and BNC video inputs. It features a pop-up, fully adjustable teleprompter hood. Its ready-built prompter mounting system fits to all tripods and is fully adjustable. Other cables and accessories are included.